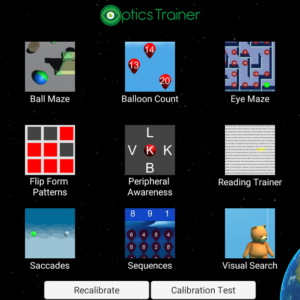 Optics Trainer Eye Tracking utilizes cutting-edge eye tracking hardware to detect user gaze and fixation. Our system consists of 13 games designed to make vision therapy fun and engaging while remediating visual information processing problems. The Eye Tracker provides instant biofeedback for you and the patient on where the eyes are aiming. Games are played to develop accuracy and control of fixation, saccades, and pursuits. Each activity can be played binocularly or monocularly. 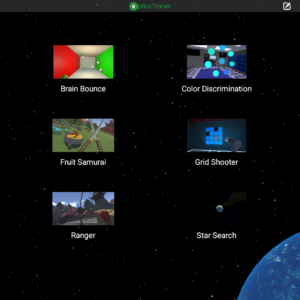 Many activities have a red-green or MFBF feature that can be turned on during the activity. 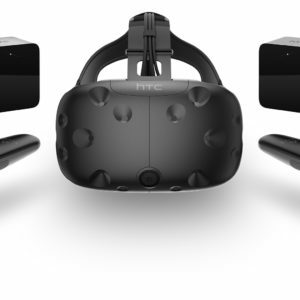 No extra hardware is required for our eye tracker to work, simply sit in front of the eye tracking sensor. Works while patients are wearing glasses or contacts. With Eye Tracking technology, we are able to track eye movement quickly and accurately. Protect your ship by blasting asteroids by only using your eyes! 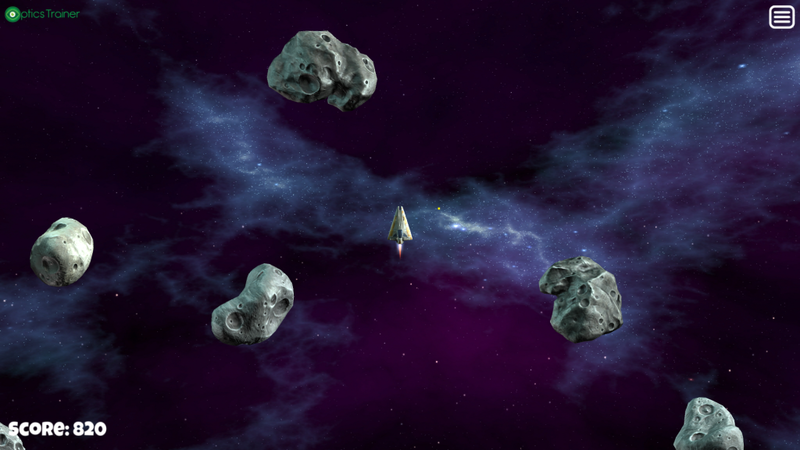 Move your eyes quickly and look at the asteroids to destroy them. 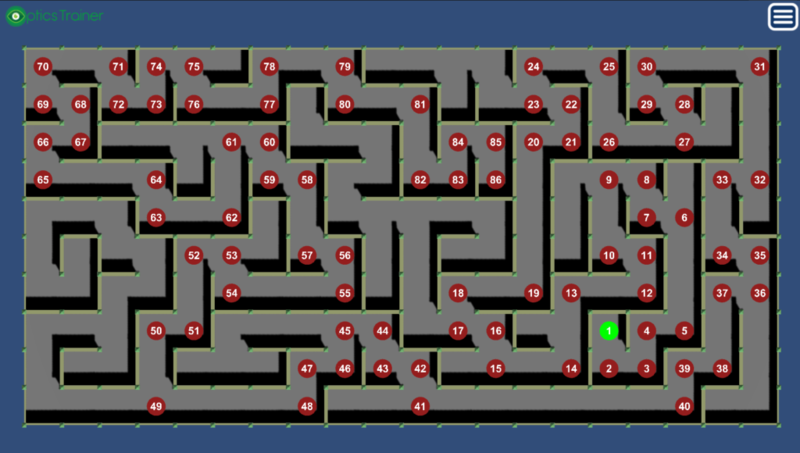 Travel through this maze by fixating on each number in order as quickly as possible. The patient looks at each sphere in a vertical or horizontal orientation as quickly as possible. 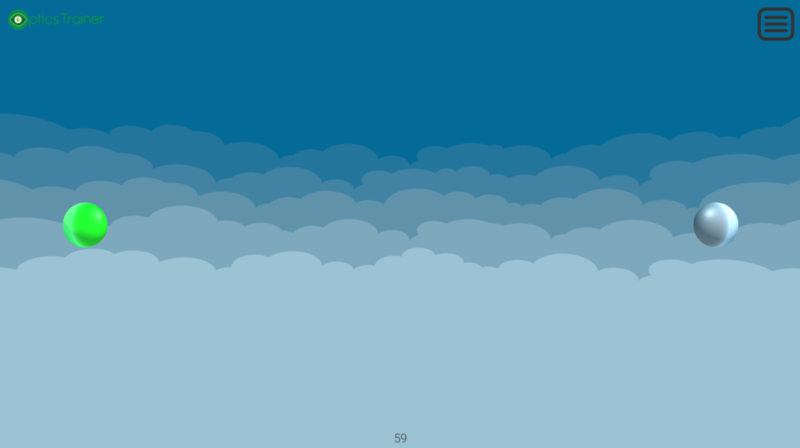 Random mode may be selected as well, which varies the sphere’s location randomly throughout the screen. 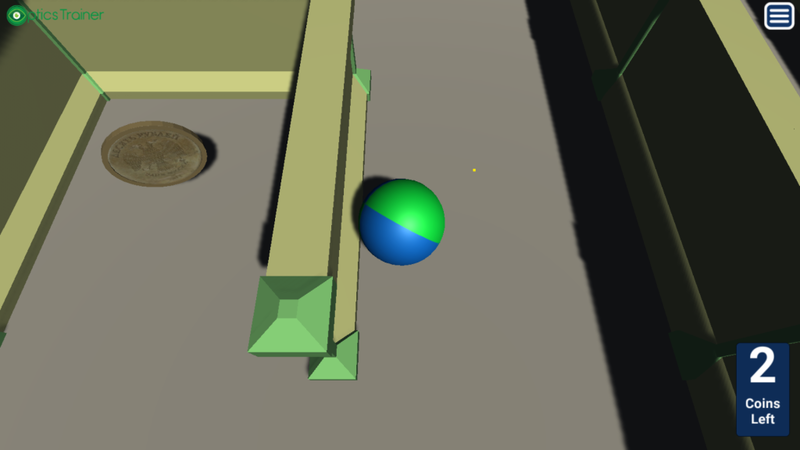 This activity works on pursuits by guiding a ball through a maze. Simply look in the direction you want the ball to move and the ball will roll in that direction. Collect all the coins to win! Work on fixation skills in Balloon Count by staring at the balloons until they pop. Pop all the balloons in numerical order to win! With our Peripheral Awareness activity you can ensure that your patient does not cheat during the activity. The objective is to use your peripherals to see the letter that matches with the center, and tap the matching letter with your finger. Eye Tracking enables the ability to know if the patient is fixating in the center and the peripherals are hidden if the patient tries to look toward the periphery. In our Reading Trainer, we familizarize the patient with moving their eyes at a given reading rate. 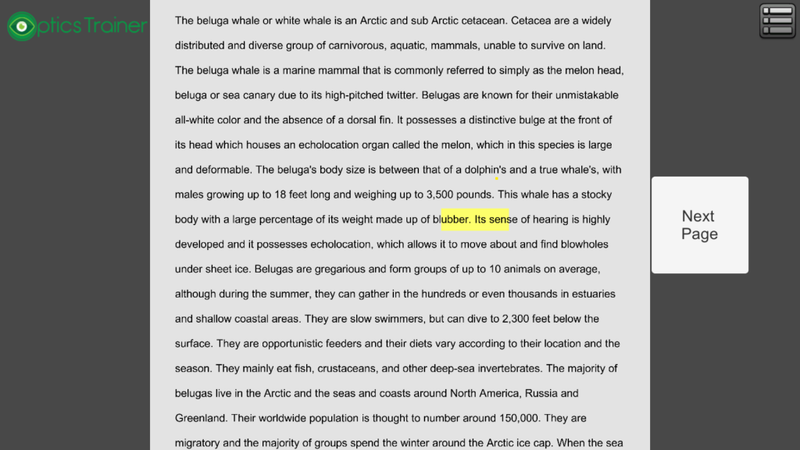 A yellow box moves across text at a specified reading rate. If the user reads too fast or too slow, a buzzing sound will be played. The exercise is concluded with reading comprehension questions. Add custom reading passages for your patients based on their grade and reading level. We test the patient’s ability to visualize the orientation of an object or pattern. 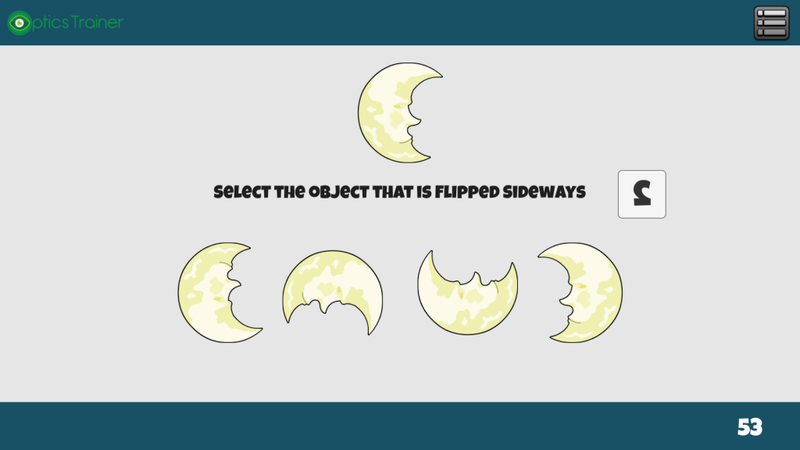 In Flip-Form Objects an image is presented and the patient must select the target or create a pattern in the correct orientation based on instructions (flipped sideways, upside down, or rotated right or left). 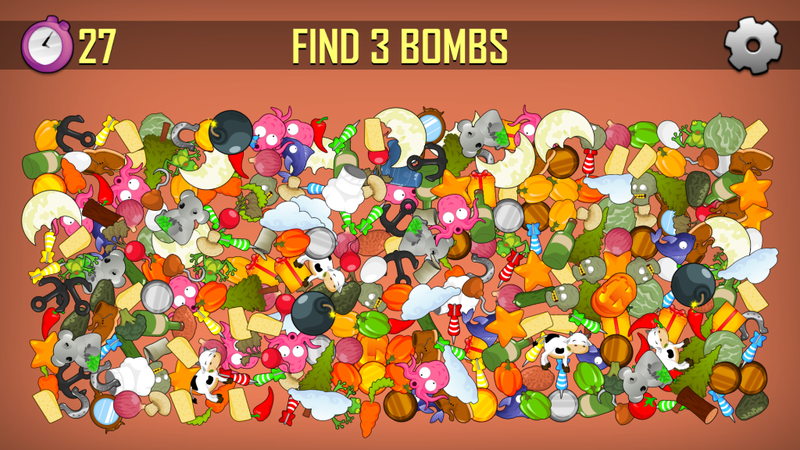 The patient must find a object hidden in a pile of many other objects. The instructions may be given in word or picture form (for a pre-reader). 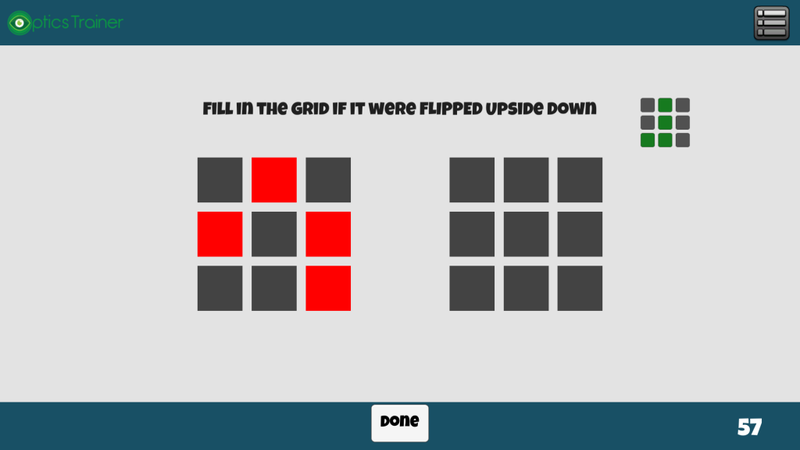 Increasing or decreasing the difficulty of this activity will make objects smaller or larger. 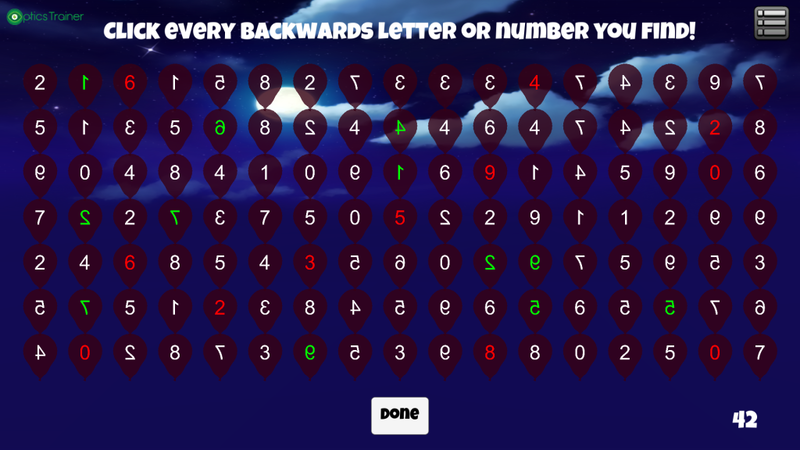 Train your patients on their abilities to recognize backwards letters or numbers. Using the touchscreen or computer mouse, the patient touches/clicks all backwards letters and numbers on the screen as quickly as possible. Work on commonly reversed letters in specific PDBQ exercises, as well as sequences of two or three numbers. The patient selects the letter that matches the letter displayed on the balloon that the bear is holding on the right. There are four modes: PDBQ, 2-numbers, 3-numbers and 2-letters. 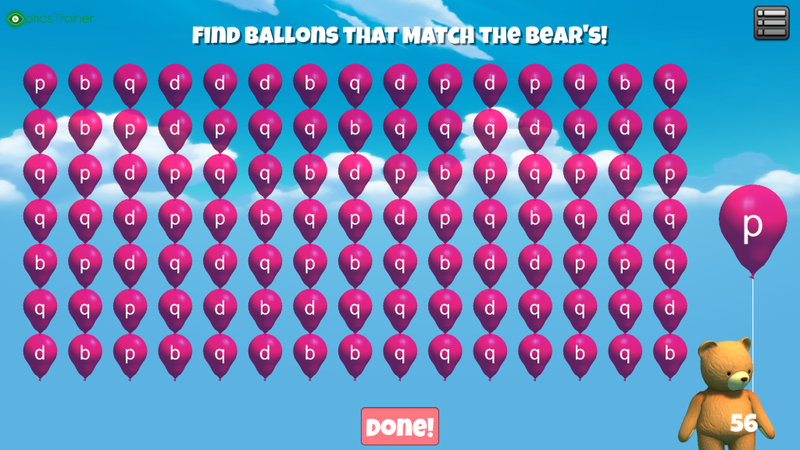 When the patient thinks they have found all the corresponding balloons, press the button on the bottom of the screen. 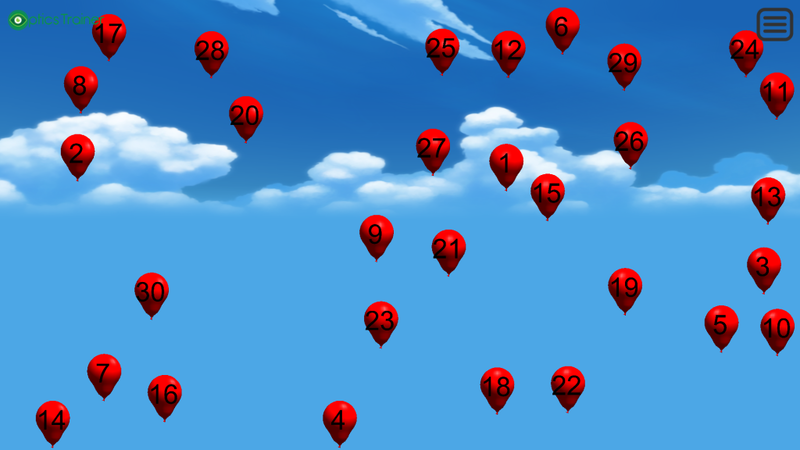 If there are still balloons to be found, the screen will indicate how many balloons are left. A fun take on the Michigan tracking exercise. 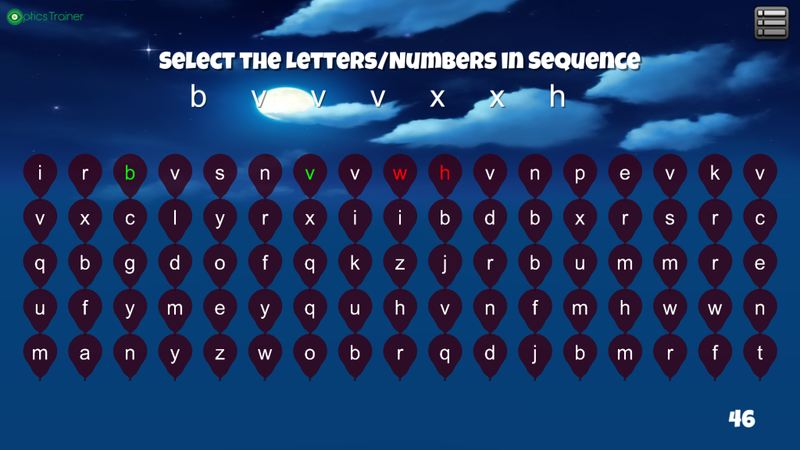 Press the letters in sequence that correspond to the pattern shown. Over half of our activities available are also compatible with Red Green glasses. This adds Monocular Focus in Binocular Field (MFBF) to the activity while still enabling the ability to detect your eyes. 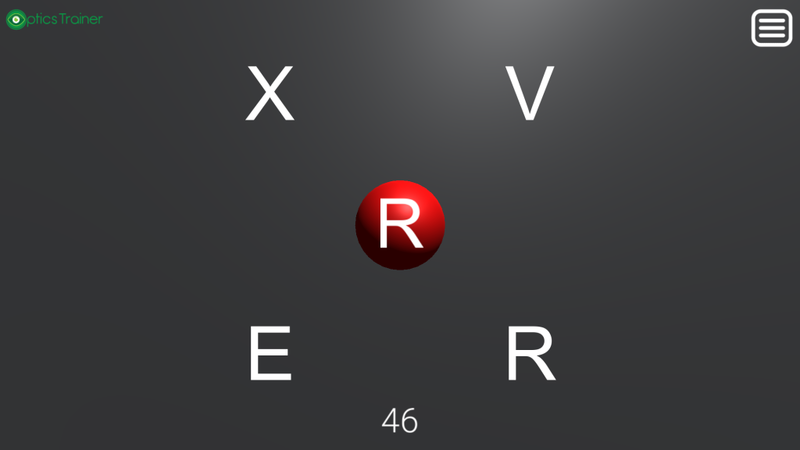 You have the ability to customize the ratio of objects shown in the Red or Green eye, allowing for selective emphasis on a weaker or amblyopic eye.